URA FC has appointed Sam Simbwa Bamweyana as their caretaker coach up to the end of the seaon. This comes two days after the resignation of Paul Nkata who decided to throw in the towel in the wake of rumours that he had lost control of the dressing room. Nkata submitted his resignation latter on Tuesday evening after his team was humiliated 7-2 in the league by KCCA FC at the StarTimes Stadium in Lugogo. Through a press release availed to the media via the club’s website on Thursday afternoon, URA confirmed the proceedings. “We confirm that URA FC head coach Paul Nkata resigned on Tuesday, 24-04-2017,” read the statement. “Nkata he been with us for a period of four months and the club welcomes his resignation. “In the wake of events, we have decided to appoint a caretaker coach until the end of the season. “URA FC board thanks Nkata for the time he gave to the club and would like to wish him well in his future endeavours. “The URA FC board seating on Thursday, 26-04-2018 has decided to appoint Sam Simbwa Bamweyana to guide the club until the end of the season. “We warmly welcome Simbwa as we believe he has all the experience and expertise to lead the club of champions up to the season’s close. URA has further stressed the club’s ambitions and highlighted that they will need their fans to support them more than ever. “Over the years, URA FC has endeavoured to build a winning team,” continued the statement. “Just like our tag line, “One Team One Dream,” this is the time that the team needs all the support necessary from our beloved fans and we pledge all that is required to keep this dream alive. Nkata had been in charge of URA for 13 competitive matches, 12 coming in the Azam Uganda Premier league and the other in a Uganda Cup game that the Tax Collectors lost 1-0 to fourth division side KJT at Namboole. In the league, Nkata has over seen three wins, two draws and seven defeats, leaving the Tax Collectors in 8th position on the table, six points away from relegation with only four games to go. 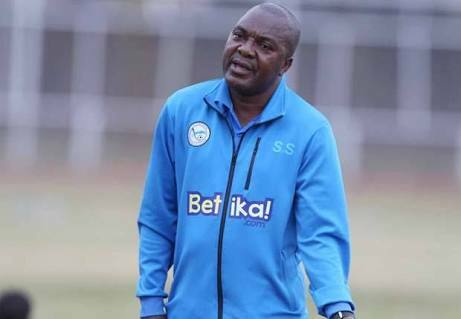 Simbwa comes in only a few weeks after he resigned from his coaching role at Kenyan side Sofapaka. 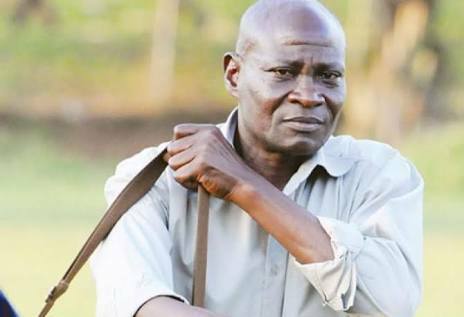 The “Mulangira” as he is commonly known has plenty of experience in the Ugandan game, coaching over five teams in five top flight including giants SC Villa, KCCA and Express. He won is last title in the Ugandan Premier league when he guided Express FC to the crown in 2013. With the internal atmosphere in the club not close to good, it remains to be seen whether Simbwa will be able to restore discipline and order at a club that is one of the best funded in the league. URA has won four league titles to date, last winning it in the 2010/11 season.